AFTER THE SILENCE what remains unsaid does not exists ? They dug.” These lines by Paul Celan could be used as an epigraph for Vanina Vignal’s film. He ushers us into the silence which the film-maker makes us hear – the silence of three generations that were deprived of their language, that were incapable of putting words on the catastrophe which transformed their lives. The poem refers to this “prison-canal” where many Romanian citizens, who were deemed to be “enemies of the people”, were sent during the 1950s, for political crimes or simply on the strength of a denunciation for “impure social origins”. This is what happened to Stefan, Iona’s grand-father. He was arrested and deported without trial in 1951. When he returned from the camp, one year later, he had been reduced to skin and bones. He retained the frightening memories of scenes that he had witnessed, when intellectuals dropped like flies. He was 31 at the time. He never found out the reasons for his condemnation. But he was well aware that the real purpose of enforced labour was to exterminate those that were subjected to it. Throughout this year of absence, without any news from him, his wife remained on her own with her three children; she was prevented from working, because her husband was a political prisoner. Worse, in order to survive, she was forced, in public, to turn against her parents, who were landowning peasants. Those were terrible years, years of fear and humiliation. 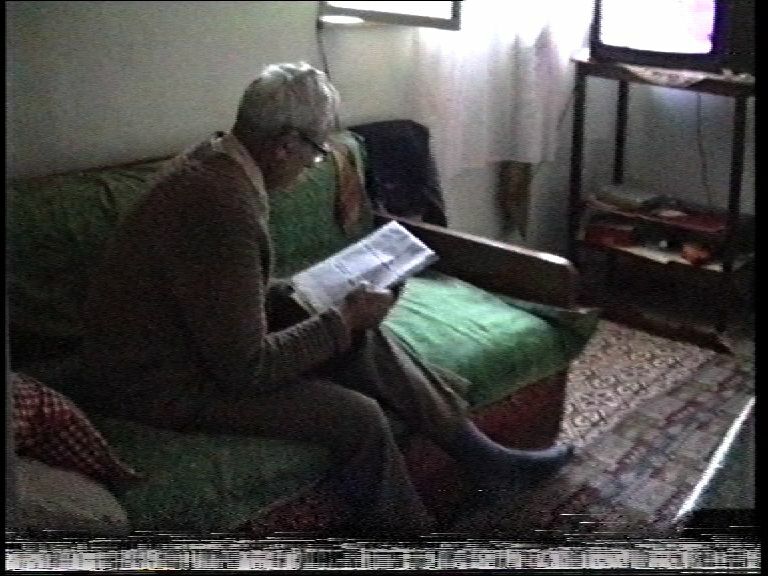 As appears in Vanina Vignal’s documentary, they resulted in a crisis of the individual, who was prevented from thinking or feeling outside the framework of the Romanian Communist regime’s official propaganda. This provoked amnesia and depersonalisation, which contaminated the whole family. What makes this documentary remarkable, is the time it took Vanina Vignal to even dare making it. The project was born at the time of her meeting, in Bucharest, in 1991, with Ioana, a young actress with whom the film-maker was going to become friends. She was painfully impressed by her friend’s silence over her childhoold and teenage years under communist rule. She decided to wait until her friend’s language would be freed, while recording, in the intimacy of their meetings, the broken words of these three generations, which had not been shared until then. Through patient and painstaking research, she was able to go back to the origins of the family’s silence. The grand-father, who is now dead, never spoke about his time in the penal colony. The tale which he would recount to his family was, in the words of his grand-daughter, “short and dry”. His silence can no doubt be ascribed to the necessity of surviving and rebuilding a social life. His time in the prison-canal had to be forgotten, erased. Silence engenders strange, contradictory tales, which, like myths, work through enigmas, and retain secrets because truth cannot be told otherwise. Paul Celan’s lines are another way of expressing this, through the invention, thanks to poetry, of a language which can be both audible and shared. The history of Stefan’s arrest which builds a heroic image of the grandfather, bears testimony to this – the family myth was indispensable to free his family from injustice and humiliation. Maybe “what remains unsaid” is bound to disappear from conscience and to leave nothing but a silent scar, if the frustration caused by an unutterable suffering remains. This is what one may understand behind the words of Iona: “I have perhaps found a system to survive and to move forward, to hold out psychologically. That’s all I could work out, a compromise which enables me to muddle along with my personal history. I have probably developed a very powerful system of protection, and I remain at a distance from reality”. Why did Vanina Vignal decide, after so many years, to break the silence, through the testing of her friend and the confrontation with her past? This question is both an existential and a cinematic one. The film-maker attempts to pick up the legacy and the family burden of truths and lies, of the collective fear that turned these people into “dead souls”. Vanina Vignal’s commitment is total and the task often seems out of proportion, even cruel sometimes. The face-to-face between her and Iona is the main filmic device used by the director. It is a relentless battle where the notions of “democracy, revolution, freedom” are revisited. She leads her friend to sift through her memories, and, through a kind of word-for-word process, to talk about her childhood in the pioneer movement, her communist education, and to realise that her parents never talked to her about politics, for fear of endangering her, and because they needed to protect themselves. Her tale is overwhelming – short, tense, painfully impersonal, suffused with resignation. The film-maker goes through a process of careful listening, which is both demanding and friendly, but she also offers a context, a repeated questioning about the effects of collective history over personal history. How should one survive when words fail, when the memory flags, when the future itself does not dispel the lies? In blowing over the embers of the past, isn’t the film-maker jeopardising the fragile balance of her friend, in spite of all the precautions she takes? Can she always maintain the right distance, between intimacy and reticence, in spite of her desire to break the sealed time of the family secret, because of friendship and a necessity to remember? Does her desire to break the seal of the family secret, through friendship and the obligation to remember, allow her always to maintain the right distance, between intimacy and reticence? This is the risk that Vanina Vignal accepts. But her project raises a number of troubling questions for us. Isn’t the attempt to deliver an imprisoned discourse doomed to failure when it does not meet the witness’s deep desire to free herself from it? And isn’t the confrontation with the past, even when it is accepted, another form of violence? AFTER THE SILENCE is a tormented film, both courageous and committed, which testifies today to the after-effects of the decomposition of the soul.